In addition we will be offering a special all day discount. Participants can run both the AM and PM sessions. Drivers will keep the same 2 digit number for both sessions. Please note that drivers will be required to work both sessions and only the AM session will count towards the season points. PM runs will be classified as Non-Comp runs. We look forward to seeing you all this coming season! If you have any questions please reach out to us at info@nccautocross.com. We will be running 7 points events in 2019. Two at Ripken, two at Summit Point and three at Regency. 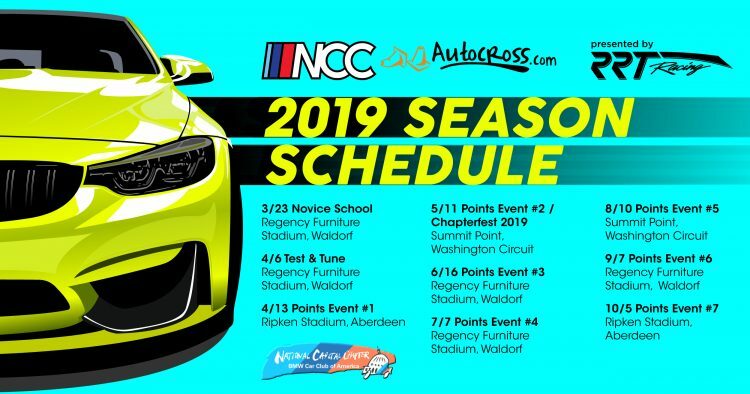 If you are interested in a season subscription please contact us at info@nccautocross.com with your vehicle's make and model, desired number, class and if you want an all day, AM or PM only subscription. Last edited by nccautocross; 01-13-2019 at 12:40 PM.